Summary: Microsoft Scripting Guy, Ed Wilson, talks about using Windows PowerShell to create a document in Microsoft Word, add a table, and email the document as an attachment. Microsoft Scripting Guy, Ed Wilson, is here. One of the cool things I like to do with Windows PowerShell is to combine multiple tasks so that it makes life easier for me. I use what I call the “annoyance meter” quite often to determine whether to write a script or not. Today’s script is one of those things that rates pretty high on my annoyance meter. Here is the scenario: I need to supply my professor in my Shakespeare class with a list of proposed topics and my critical approach to them. So what is the big deal? 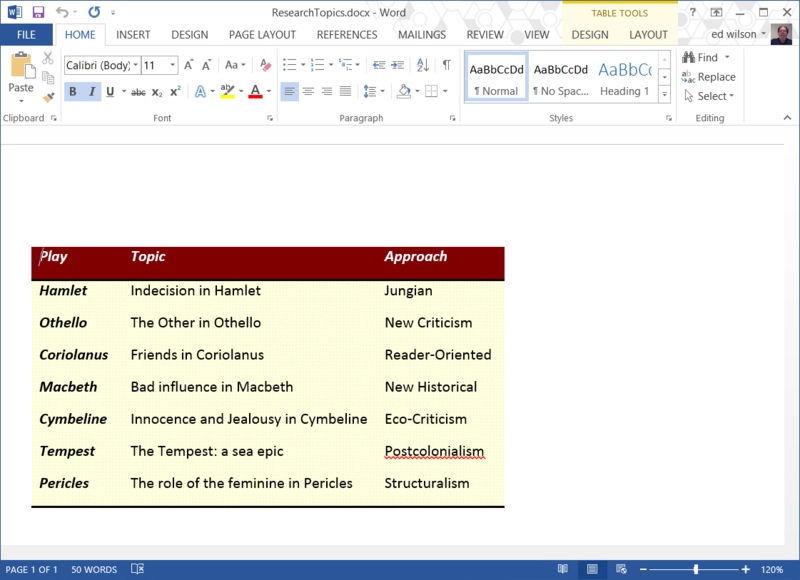 I would have to create a table, type out each of the plays, add my topics, and add my critical approach to each topic. I then have to save the file, open email, find the file, and send the email. That is like, I don’t know, maybe a dozen steps. But what do I have? I already have a text file with my plays, and I already came up with a listing of topic ideas for each of the plays. I did that yesterday in Add Custom Headers to Folder Full of Word Documents. -SmtpServer "smtp-mail.outlook.com" -UseSsl -Credential "ScriptingGuys@Outlook.com"
That is all there is to using Windows PowerShell to create a Word document, add a table, and email the document as an attachment. Join me tomorrow when I will talk about more cool stuff.